Ugly Girls Will Be Deleted! What do you get when you set a real Craiglist personal ad to music? Known for: dropping out of Parsons to start his own label in 2006, great taste in music (Depeche Mode’s “Enjoy the Silence” is the current soundtrack to Wang’s website), yummy cashmere sweater dresses, and a kickass fall-winter collection that reminds us of an 80′s Patrick Nagel print (i.e. the cover of Duran Duran’s Rio). Click here to see Alexander Wang’s Fall-Winter 2007 collection. 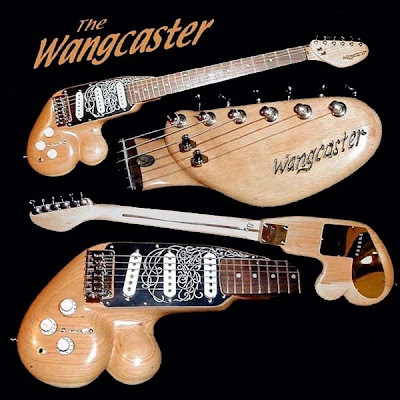 Two Wangs made headlines yesterday in New York Citay. 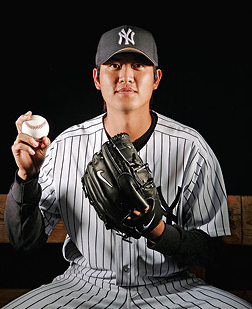 Yankee pitcher Chien-Ming Wang was named official spokesperson for the 2009 World Games, which will be held in Wang’s native Taiwan. MLB.com reports that the World Games will feature sports left out of the Olympics, like sumo wrestling and tug-of-war. Wait, what? Tug-of-war? That’s a sport now? Really? You’re positive? VERA Wang is about to launch a fashion line to be called Simply Vera – and the company founded by the other Vera, famous for the silk scarves Marilyn Monroe once wore, isn’t happy. The rep [for the original Vera] said Wang had even gone as far as using her high-powered, stockbroker hubby as an attack dog. “Her husband, Arthur Becker, called our company and said, ‘I have $5 billion with Kohl’s behind me, and we’re going to take on any opposition. I’m putting The Vera Company on notice,” the rep said. Letting your sugardaddy husband and his billions do your legal dirty work for you? I’m appalled, I’m outraged…alright, I’m jealous.